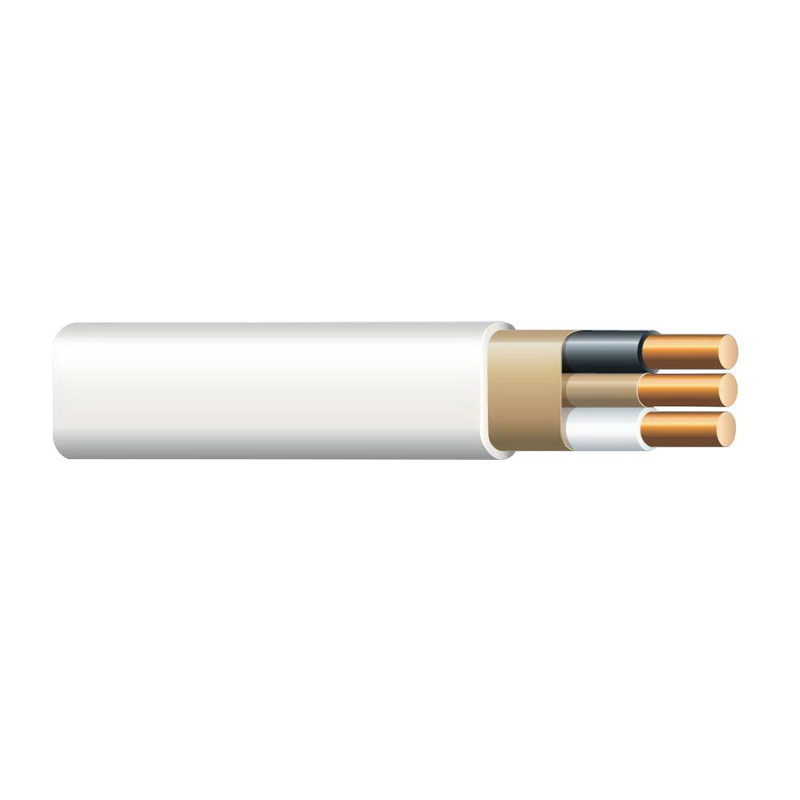 14/3 NM-B Non-metallic sheathed cable has voltage rating of 600-Volts and current rating of 15-Amps. The copper cable with grounding, features 19-mil PVC insulation and 30-mil nylon jacket. This tear-resistant cable incorporates SIM technology for easier pulling. It features white color-coded jacket for easy identification. This cable is perfect for use in residential wiring as branch circuits for outlets, switches and other loads. It withstands temperature rating of 90 deg C in dry conditions. This 1000-ft cable comes in reel. Cable is UL listed, RoHS/REACH compliant and meets all ASTM standards.